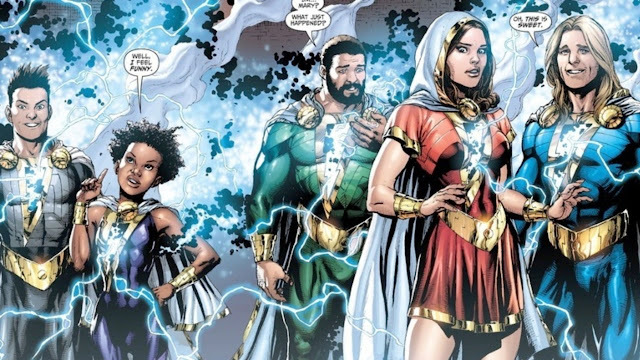 She's Fantastic: Shazam! 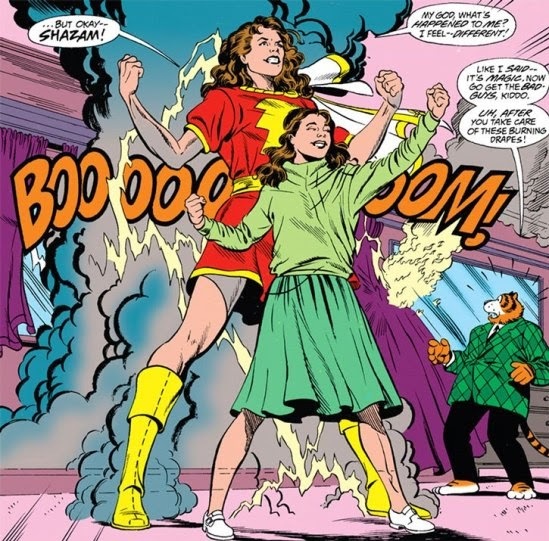 Movie - MARY MARVEL! Adult Mary is played by Michele Borth. Of all the basic series figures from this movie, I think Mary looks the least like her real-life counterpart. But it's still a nice looking toy. It makes me wonder if my particular figure has an odd paint job (or maybe an awkwardly-placed hair piece). I think the overall figure is nice, but the actor likeness is just a bit off. Mary comes with a demon-like accessory named Sloth. All the characters comes with different versions of these (each named after one of the Seven Deadly Sins). The demons are made of a stretchy, jiggly rubber. It's pretty gross to me but I know kids live for this stuff. Here is Mary with Darla. And here they are with two other Basic DC figures: Mera and Wonder Woman. DC Universe Classics (2010), Mattel Movie Basic Series (2019), DC Direct (2007), Justice League Unlimited (2006). I absolutely adore my Mary Marvel figure. Here in the UK, it can be increasingly difficult to find the more obscure, unknown figures. So I was pleasantly surprised to have one finally in my hands. For a basic figure, I’m amazed at the level of detail and articulation, but it’s a shame the legs are basic t-joints. I also would have preferred some open flying hands rather than closed fighting fists, but these are small minor issues. Here is hoping for a larger figure on the same scale! Now I’m on the hunt for Darla! Cool figure. I have the old DC Direct figure which is a great figure. Saw Darla at the store, but no sign of Mary yet.